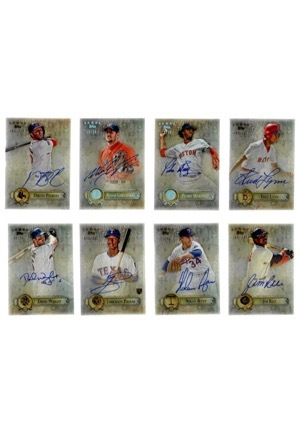 A near complete set of the 2013 Topps baseball “Five Star” limited edition autographed card set. 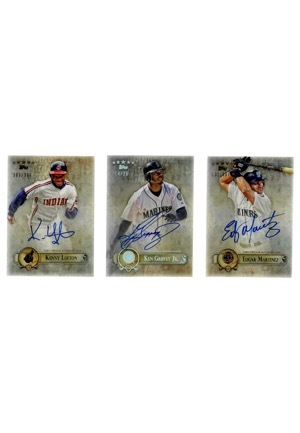 There are 82 cards in total that include both modern and Hall of Fame stars. 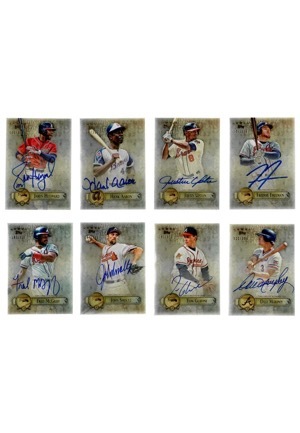 The autographed cards are highlighted by Hall of Famers Sandy Koufax, Tony Gwynn, Hank Aaron, Nolan Ryan, Ken Griffey Jr., Cal Ripken Jr. and many others. 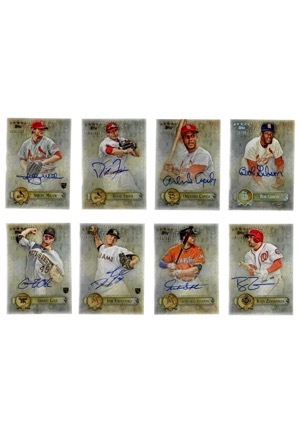 Also featured are current MLB stars Mike Trout, Chris Sale, Buster Posey, Miguel Cabrera and others. In our opinion the signatures rate between 7-9 overall. Accompanied by a LOA from JSA.